I have had a couple comments/ questions about makeup lately so I thought I would do a sort of update to my Daily Makeup Routine video I posted August 2012. Towards the end, I discuss how I think about makeup; that it is the varnish intended to bring out and enhance the natural beauty of what’s underneath. All throughout the Bible, beauty is a good thing to God. Wearing makeup is not being unhappy or displeased with the way God made you, it’s simply cultivating what He has blessed you with to make visible even more beauty. Same reason you would paint an old fence or choose colors for your wardrobe that bring out your eyes and flatter your complexion. I had a friend comment on my eyelashes the other day and I realized that I had discovered a mascara technique that really adds a lot of volume and length since I filmed last year’s daily makeup routine video and thought I should share that with you! While I was at it, I figured I would just go ahead and share my current daily makeup routine since it’s changed and lengthened a little bit as I’ve gone from 19 to 21. This video is awkward and for that I apologize. Not only did I use the word (or non-word) “Impactful” but I totally forgot how to say “separate” and ummed and eye-rolled forever in the middle of a sentence. And then the video cut out and I had to finish filming it hours later. I’m so profesh at this, guys. My flaws aside, I would say that my first video with simple concealer, light eyeliner, powder, and mascara is perfect for a young lady who wants to look fresh, bright-eyed, and very natural. Even the powder is not usually necessary for a younger lady. That was the routine I had from about 15-19. After watching the first video, I forgot how easy/simple the charcoal eyeliner is. I’m gonna have to start that again. Have you discovered your makeup look changing over time? What are your thoughts on it? I was just going to ask if you changed up your make-up routine! I love it!!! You look so pretty!! Hey Olivia, just wanted to let you know that I have been lurking on your blog on and off for a while now and positively love it! What a breath of fresh air! You are a total inspiration for those of us running the race, attempting to find stylish clothing that still demonstrates a respect for ourselves and honor for our brothers in Christ. Keep up the good work! I decided to comment because I watched your older makeup video a while back, so when I saw the new one I was stoked. Girl, you are stunning! And your makeup just enhances your features so beautifully – I absolutely LOVE your style! I'll have to be taking some ideas from you =) And your idea for mascara application is brilliant; I will definitely be trying it ASAP (that is, tomorrow)! Thanks for all you're doing. You are an inspiration and a light to this generation! God bless you. Tricia! That's so funny you learned something because you and your sisters were totally part of my inspiration of realizing that makeup isn't a bad thing. And watching how you each had your own style of how much you applied as you got older was so helpful! Haha I love your videos! Umms and all. I really enjoyed the videos!! Can you show us how to make the natural blush, eyeliner ect….?? From where do you get your charcoal for the eyeliner? Yes, putting mascara on the roots is so crucial !!! Otherwise, you might as well not even wear it, especially if your eyes are small like mine. Thanks for showing that. I'm not sure I could say what I think a good amount to spend is, rather, I just try to be wise and buy the best I can within a reasonable price. Most people spend waaaay more than the $50 or so I choose to spend on beauty products a year. 2/3 of that cost is mascara. 😛 If you did charcoal eyeliner and natural make-up, you could take that down to probably $10 a year, but you'd have the initial cost of buying all the ingredients and that would probably be close to $100. The mineral powder has lasted me over a year (and I share it with my sisters!) and the pencil eyeliner much longer than that. I went until just last month with no make-up brushes but I have to say I'm glad I invested in them. Blush goes on muuuuch nicer and the eyeshadow is more natural looking applied with a brush. 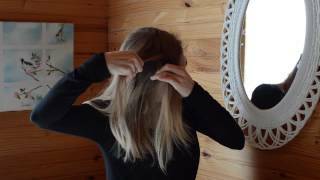 Wow… love your video! I was especially interested in the eye lash tips because sometimes my eye lashes get clumpy. I'm definitely going to use the powder on the lashes tip!!! By the way,what do you use to remove your mascara? God Bless and keep posting!!! I really like the way you put wearing makeup! Numbers of people have asked, or I have seen debates on blogs and such who ask the same question about makeup. I am definitely recommending your video! I never thought of it that way, and it really helps! Thanks for being such an encouragement! I love your makeup! You always look so pretty! Thanks for sharing the updated routine! Recently I tried making the charcoal eyeliner from your video. I'm loving it! Very cute, Olivia! And quite grown up, too! This has nothing to do with the videos (Though I did get some helpful tips out of them) but what is your decorating style? Thanks for this Olivia! I use the exact same power and foundation! yay! I love that stuff! Lasts forever and is so fresh feeling! 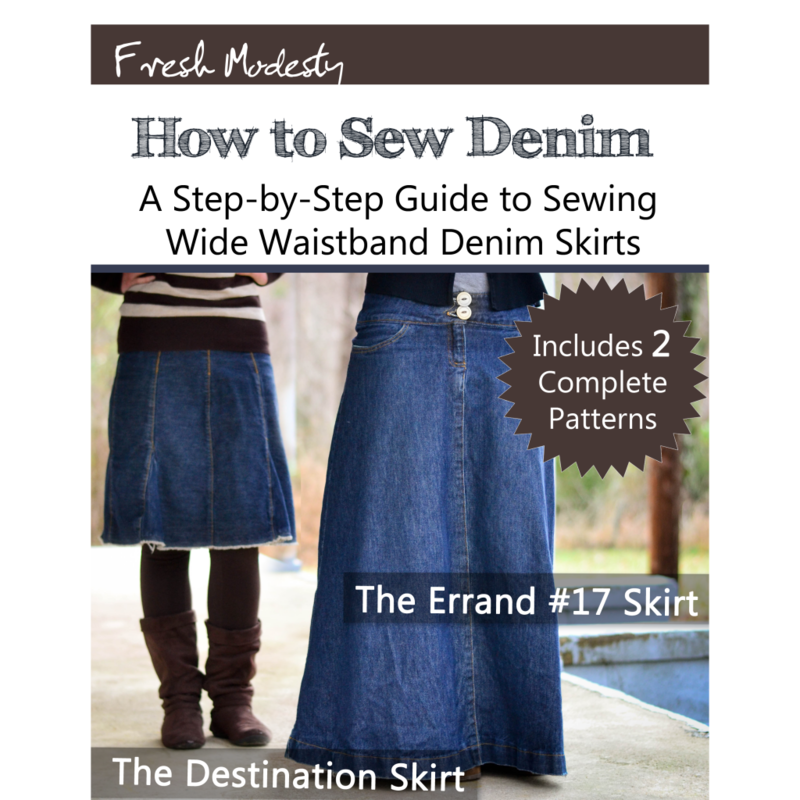 I just bought your denim e-book this week! Finally! 🙂 I can't wait to start! I will be sure to send in pictures with my result! Thank you, thank you- SO much for all your time on it!! I like what you said about wearing makeup: 'that it is the varnish intended to bring out and enhance the natural beauty of what's underneath'. Well said. God does, indeed, mention beauty numerous times in scripture, and sometimes in regards to a woman's outer appearance. Not to mention, He gave the Israelites anklets, bracelets, and fine clothes. He certainly didn't consider beautifying oneself as wrong. Enjoyed Watching It! 🙂 Thanks For the Tips!! Was just wondering if you use anything as far as skin care? I know that isn't makeup, but it is a face thing. I've been trying the coconut oil method, but haven't tried it long enough to tell whether or not it's working. Have you had success with whatever you use? Thank you! I know eating well, getting exercise, and drinking lots of water is the BEST clear skin method. But sometimes I feel like my skin needs an extra helping hand, especially when the seasons change. That would be neat for your sister to do a video! But don't feel like y'all have to on account of me! I know your lives are busy. 🙂 Praying that your sister will be healed from her sickness. Hope you don't mind my jumping in on the conversation here. :) I just wanted to share that about a year ago my mom started applying coconut oil and lavender essential oil to her face after every shower. It's really made a difference in making her skin look younger. I'd definitely give this combo a try. You just apply coconut oil and then rub in some lavender essential oil. Thanks you, Moriah! So helpful! I just have a few questions, I hope you don't mind: I am 15 years old, and am thinking about starting to wear makeup… but I have pretty bad acne, and I was wondering what you thought about covering that up a bit. I don't think the makeup that you use would cover it up. I saw that you wrote above that your sister had acne…( I hope she is doing well, I have been praying for you guys), does she wear makeup? And if she does, what does she use? Also, can you give us the recipe for the homemade concealer, and any other homemade products if you can? When I start wearing makeup, I want to stay as natural as possible! hey! I've come across your sewing blog before in my rambles around Godly-Girls blogs, but I just stumbled upon this one via Sacred Calling post on skirts and I skimmed through these two videos and I was wondering… you said you had a thick homemade concealer you were being stingy with b/c you were running out of… would you happen to still have that recipe!?!? Yes…could you share the concealer recipe if you have it? love it, so fresh and beautiful!!!!!!! My make up use to be very heavy in order to cover my terrible acne(which only made it worse) but now that I am also entering my 20's my acne has subsided and I only wear light make up 2-3 times a week. Nice makeup routine! 🙂 I tried the eye lash technique yesterday — although it was PRETTY early in the morning and i couldnt really see what i was looking like and i had already gotten black all over my eyes and i looked like i was playing dress up for halloween……oh brother … lets just say im not a morning person!! —- ANYWAYS… I'm gonna try your tip again 😉 muchas gracias! Yeah, totally. Just wondering. 😉 Love your blog, btw!! What would be the age that you would suggest wearing makeup? I just wear lip gloss right now, but i'm thinking 'bout wearing blush and a concealer. 🙂 And do you have any recipes for that stuff? I don't have any recipes for blush or concealer, sorry! Blessings! I love your attitude about make up! Your make up tips were very helpful. I've been following your blog for about 3 months, and I have really enjoyed it! Thank you! Hey Olivia! I found a recipe for homemade bronzer like you used in your video. I was wondering, does is usually stay on all day? Regarding the first verse – I do not think wearing makeup doesn't count as "modest apparel." It's all in HOW you wear it. Second verse – The daughters of Zion were being punished for their attitudes (haughty, stretched forth necks, wanton eyes) while they wore jewelry/makeup, not for the act of wearing makeup itself. "Try studying your Bible a bit more, dear" – I think that was a needlessly condescending and unkind way to start your comment, especially as this blogger demonstrates her love for God's Word in every blog post. A presumably mature Christian woman of your age could show a bit more Christian charity in engaging younger readers of this blog. "Man looks at the outward appearance, but the LORD looks at the heart. "1 Samuel 16:7 – exactly. It's not about wearing make up or not, it's about your motivation for doing so. What I thought was particularly telling in the video in this post was the complete lack of polish – the umming and ahhing, the homey backdrop, the mistakes and dropping things – which was utterly charming and clearly demonstrated the blogger's lack of vanity and 'evil' motives in using make up. 1) the TONS of foundation under the eyes. I have baaaad dark circles (like, BAD. horrible even when I'm completely rested and near ghastly when I'm real tired) and even if I load up with concealer I still look sick or something. And cakey to boot. :/ But I have a foundation that is too light for me, which is perfect for the under eye area! I was afraid I'd have to get rid of it but I slathered it on under my eyes and used a LOT. That already was so much better than my concealer ever did! Concealer on top of it and my dark circles are almost GONE! Love that!!!! 2) I used baby powder on my lashes (a lot) and THEN used mascara. Wow!! Glamorous lashes!!! And that says a lot because mine are very thin and short haha. Sharon, it sounds like we have a similar problem! My dark eye circles come back every time we move back east–makes me miss the west coast even more! The best remedy I've found and love is to use a liquid cover up/foundation that is warmer in tone than my skin tone (which is pretty light) underneath my eyes. The mixture of the "blueish/purplish" under my eyes and the "yellowish/beige" of the cover up tends to balance it out. Then, I'll use my normal mineral powder foundation over it to keep everything "even" looking. I was really interested to read your thoughts about wearing make-up in this comment. If that's how you see make up, that's totally fine, and of course it's absolutely your choice not to wear make-up. When you asked, "Why do you think you need to try and improve what God made perfect? ", I couldn't help thinking of the Garden of Eden, and how we live in a Fallen world that feels the effects of sin in every corner. Unlike Eve, we have things like acne, and eczema, and rosacea, and harsh UV rays, because of sin and our sinful bodies' weaknesses. So to me that arugment doesn't seem totally applicable when talking about make-up, because even though God created everything perfect, it sure didn't stay perfect, and we have to deal with the effects of it even in these small, insignificant ways. Alternatively, make-up can help you to celebrate and enhance the good features God gave you, and downplay the effects of sin (the outer ones, that is!). Personally I'm not discontented with how I look, which is why I don't try to fake tan my pale skin, wear coloured contacts to change my eye colour or dye my hair. As in many other things, I believe it's not the thing itself that's bad, it's how you use it, and what your motivations are. It's also interesting that you mentioned "drawing attention" to yourself, because to give you another perspective, I actually started wearing make up to hide my adult acne, so that I could avoid drawing people's attention, rather than attract it. When I'm talking to someone, I want them to listen to what I'm saying, rather than be staring at a pimple, or facial hair, or asking me why I've got such dark circles under my eyes! To me, I'm using make-up to protect my skin, but also to show respect for myself and others by looking neat and 'put together'. If God has blessed you with trouble-free skin, then that's great! I believe nobody should feel like they "need" to wear make-up, or should feel peer pressured into it. I never wore a scrap of make-up (and was determined not to) until the acne hit me at age 22, and in retrospect, I actually believe it was God's way of gently leading me into becoming a mature and presentable adult, who up until then had lived in jeans and t-shirts and "hated dresses"! I started wearing make-up fairly late (22), and I kind of had to figure it out for myself by trial and error. so my make-up routine has definitely changed over the years, as I became aware of different products and how to use them properly. I only added eyeliner and bronzer to my routine last year, and primer this year. I really like your tip about the powder on the eyelashes before mascara! I'll have to try that next time. These are great tutorials, simple and easy to follow. Thank you! I would just like to share that I have been making all of my own makeup following this site: http://almostexactlyblog.wordpress.com/2013/06/01/natural-makeup/ It is gentle makeup, healthy, really cheap and very easy to make. I pretty much follow your routine with my own products (which by the way, your charcoal eyeliner helped get me started on this, as well as the homemade deodorant, which I always use and love). Your blog is very helpful to me in the role of modesty. When I struggle and wonder why I need to dress so modestly, and ask myself if it's necessary and if I can do it stylishly, I remember Fresh Modesty and Working With Eager Hands. Your sites are great visual reminders that I'm not alone and this is right! Thank you Olivia! I just found this blog and love it! I just wanted to ask a quick question. I am 15, and I think I am a little young yet to start wearing mascara. I do wear make-up tho. what age did you start wearing mascara?